Fellowship Previews: All-Star Storyteller Marguerite Sauvage Brings Holiday Cheer to FAITH’S WINTER WONDERLAND SPECIAL #1 – Sleighing into December! 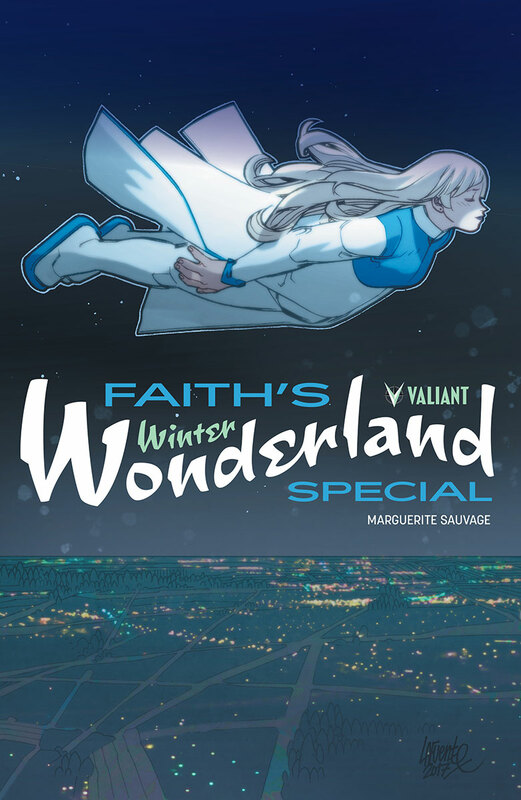 As first revealed at MTV, Valiant is proud to announce FAITH’S WINTER WONDERLAND SPECIAL #1– a lavishly illustrated season's greeting featuring one of the beloved superheroes in comics today! 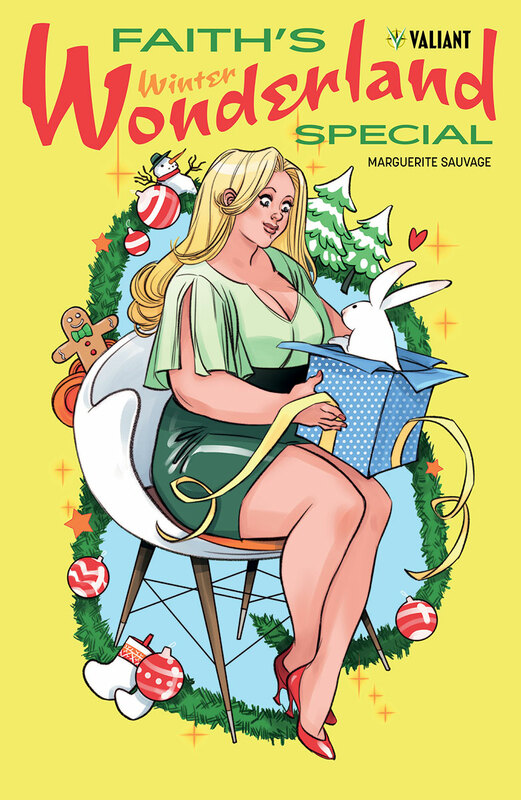 On December 6th, bundle up as Eisner Award and Russ Manning Award-nominated artistic sensation Marguerite Sauvage (FAITH, DC Comics Bombshells) – one of the comic industry's fastest rising stars – takes the helm to write and illustrate the fanciful tale of Faith’s very first holiday extravaganza! As cheer fills the air, Faith “Zephyr” Herbert is about to take a trip down the rabbit hole…and into a mind-bending winter wonderland where every day is something special! 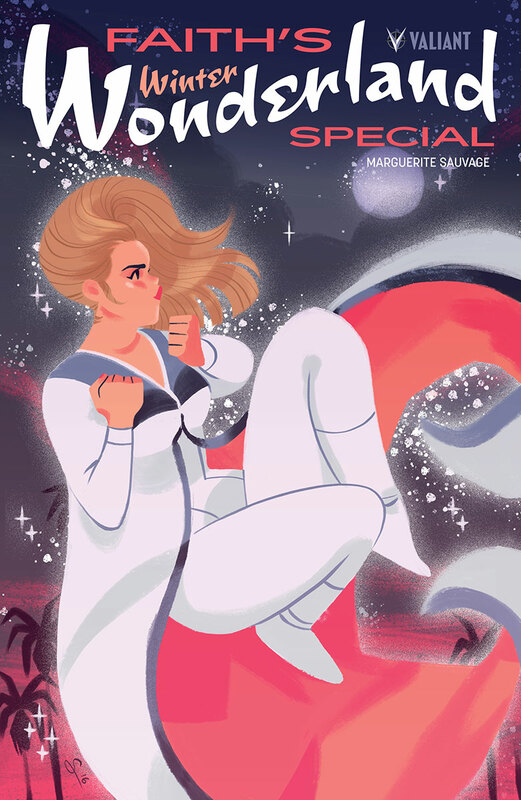 But hiding behind the tinsel, all is not what it seems... White rabbit meets red-nosed reindeer as Faith squares off against a realm of make-believe and merriment for a whimsical flight of superhero fancy, featuring the electrifyingly beautiful artwork of Marguerite Sauvage! "Marguerite's one of the most talented artists in the industry,” Valiant Editor-in-Chief Warren Simons told MTV. “Her work on FAITH has been incredible, and she's come up with an amazing story that perfectly illuminates why Faith is one of the most beloved characters in the medium." On December 6th, ring in the season with a standalone adventure featuring one of the most unique and celebrated heroes in comics today – as featured by The Atlantic, The Guardian, MTV, The New York Times, People Magazine, and hundreds more worldwide! 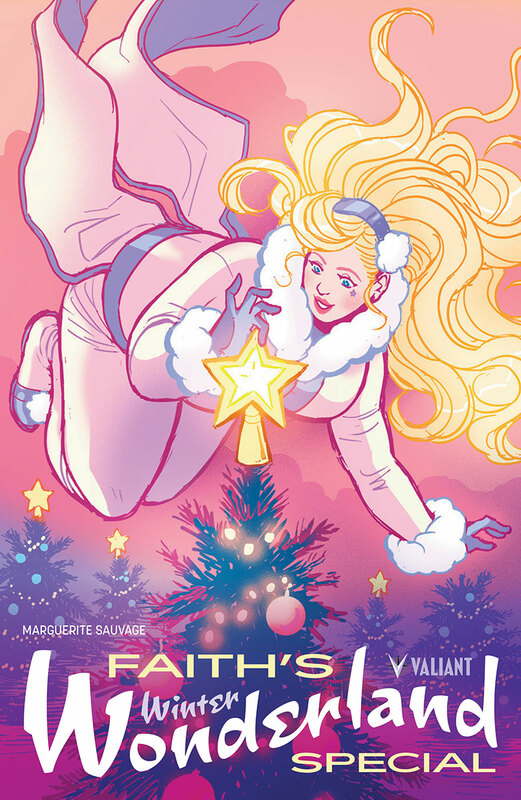 In the aftermath of FAITH AND THE FUTURE FORCE’s century-spanning conclusion this fall, celebrate the coming of a brand New Year for Los Angeles' high-flying hero in FAITH’S WINTER WONDERLAND SPECIAL #1 – featuring covers by Marguerite Sauvage (Shade the Changing Girl), Paulina Ganucheau (Zodiac Starforce), rising star Sibylline Meynet, and David Lafuente (Ultimate Spider-Man)!